CSS is the acronym for "Cascading Style Sheet". 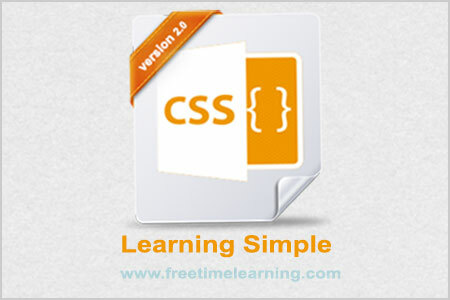 Tutorial provides basic and advanced concepts of CSS technology. Our CSS tutorial is developed for beginners and professionals. 1. CSS is used to design HTML tags. 2. CSS is a widely used language on the web. CSS is the language for describing the presentation of Web pages, including colors, layout, and fonts. It allows one to adapt the presentation to different types of devices, such as large screens, small screens, or printers. CSS is independent of HTML and can be used with any XML-based markup language. Class Base : The css used to redefine the elements of html is called as class base css.It is denoted by dot(.) before the name. The class based css file is using to multiple times of single document. ID Base : The css used to create block elements is called as ID base css. Alternative for creating table(cell) without html.It is denoted by (#)before the name. The ID based css file is using to single time of single document. Note: Start one value afetr ending this semicolon(;). Internal css : The css which is written internally within the html document in the head tag is called Internal css. External css : The css which is written externally and it is linked within head tag is called External css. Inline css : The css which is written in the tags in the body of html documents is called Inline css.